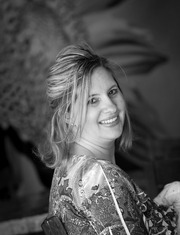 Kathi Kersten is the Lead Aesthetician at Beyond Organic Day Spa, LLC. Since 1994, she has been serving clients with her expertise and personal passion for providing the best possible solutions to improve the health of their skin. She understands the importance that healthy skin and appearance has on confidence and self-esteem, having suffered with acne as a ‘pepperoni pizza faced’ teenager, and now experiencing the changes that occur with aging. Her wide range of services help women and men through all the phases of skin development from early age skin problems, such as acne, to pro-active anti-aging services, eliminating fine lines and wrinkles, lightening hyper-pigmentation (or as you may call them sun spots) and minimizing large pores. In addition to the services mentioned above, Beyond Organic Day Spa also provides led light treatments by Revitalight, organic peels, facials, microdermabrasion, full body waxing, eyelash and eyebrow tinting, paraffin treatments and natural nails. Using Eminence products, the original leader in organic skincare, Kathi and her team are committed to providing you with the best products and services to enhance your personal skin care program.